Landing pages are stand-alone web pages that can help you get more contacts in your talent network, more registrants at your recruitment event and more applicants for your jobs. 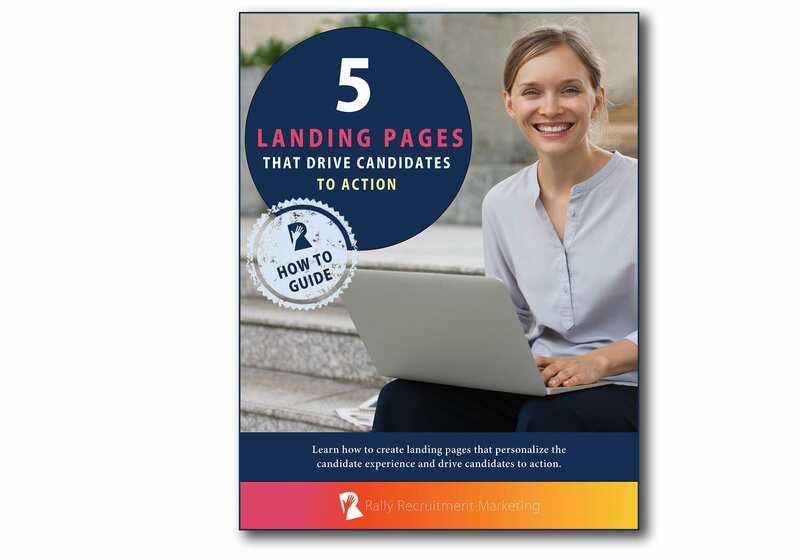 Download Rally’s How To Guide and learn everything you need to know about leveraging landing pages to create a personalized candidate experience and increase your Recruitment Marketing campaign results. Features inspiring examples from CVS Health, VMware, Eventbrite, Bank of Ireland and HomeAway. Good landing pages are effective because they are targeted, short, visually appealing and easy to understand. As consumers, we’ve become used to the hyperpersonalized experience we receive from brands like Amazon, Netflix and Zappos. They have set the bar high, and now every brand interaction, digital experience and customer service is compared, fairly or not. In Talent Acquisition, providing this type of personalized candidate experience may seem aspirational and currently out of reach. But it isn’t! We don’t need to reach the nirvana of personalization overnight. We can take small steps towards personalizing the candidate experience that can have a big impact on our employer brand and on our recruiting strategy. One place where we can begin is to borrow a proven marketing tactic: landing pages. These stand-alone web pages are designed to provide relevant content that can influence the candidate journey and increase the conversion rate from website visitor to applicant. In this Rally™ How To Guide, we’ll cover everything you need to know to create and use landing pages to attract candidates and drive them to action. We’ll explain what makes recruitment landing pages successful and provide 5 examples to inspire you. Clinch is a sponsor of Rally. Their sponsorship helps us to create educational content and events on Recruitment Marketing.